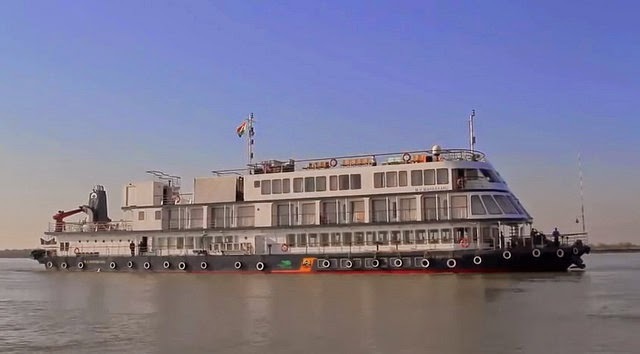 Luxury river expedition company, Pandaw has announced its new eight-day Brahmaputra River programme in partnership with MV Mahabaahu. The itineraries will commence in March 2015, offering Pandaw guests an off-the-beaten track, luxury exploration of the Assam region in the north-east of India. Guest onboard the Pandaw-led sailing will visit the largest river island in the world and meet the Mishing people that inhabit the region. Pandaw guests will head into the Assam province's rich, green hills, plains and forests to learn more about the aromatic tea that it is known for. Travel by boat, jeep and elephant and get up close to single horned rhinos, buffaloes, Indian tigers and river dolphins, as well as experiencing the untouched scenery of the Kaziranga National Park. Pandaw guests will enjoy a 'yacht-like' feel onboard the 23-suite MV Mahabaahu as well as five-star luxury service and a crew to passenger ratio of 2:1. The Brahmaputra River is the only navigable river in the world from which the 6,500 metre high, snow covered Himalaya Mountains can be seen. It is also the only river, apart from the Zambezi River in Africa where elephant, jeep and boat safaris are found together. Guests will experience the rich living culture of the Assam region with visits to temples, tribal villages, monasteries, ancient palaces and tea estates. 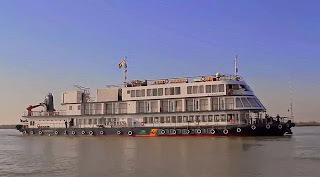 In addition to the cruise, Pandaw also offers pre and post stays in luxury five-star hotels in Delhi and Kolkata, including domestic connecting flights. Departure information: 29 March 2015. Price: Cruise-only from USD 2'430.- per person based on two people sharing a main deck stateroom, fully inclusive of all excursions, crew gratuities, meals and non-premium drinks. Transfers between ports of embarkation and the airport at the start and end of the voyage. Applicable on bookings made before 30 November 2014. New itineraries for National Geographic Orion. Mekong River Cruise pioneer, Naidah Yazdani.